Nike‘s next Air Max 97 Ultra release takes a quick trip into the future with a small feature upgrade. Aside from its original construction, you’ll find a new attention-grabbing panel on the upper which is treated in iridescent silver. Hints of black and red are then added for a striking contrast. Lastly, Nike switches up the branding with a modern Air Max insignia on each heel to finish things off. 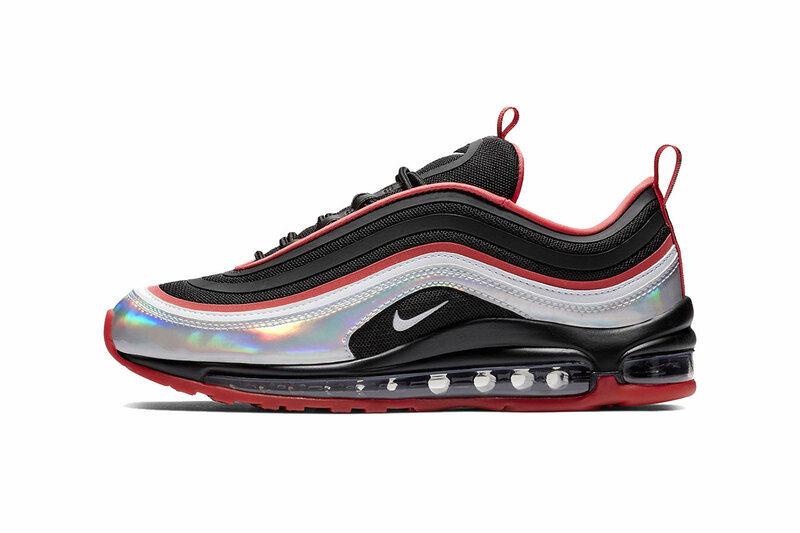 This edition of the Nike Air Max 97 Ultra will arrive in the coming weeks for $160 USD. Peruse some of the shots above and let us know if you favor this shiny upgrade. NSW followers can also peep the latest colorway of the Air VaporMax Plus. It’s being hunted by Santa and his reindeer. And it’s for a good cause.